Listening to music is a necessity for me. I listen to music every morning on the commute to work, during the working day at my desk, during lunch when catching up with something on Netflix and then on the commute home. Therefore, it's essential I have a brilliant pair of earphones or headphones. 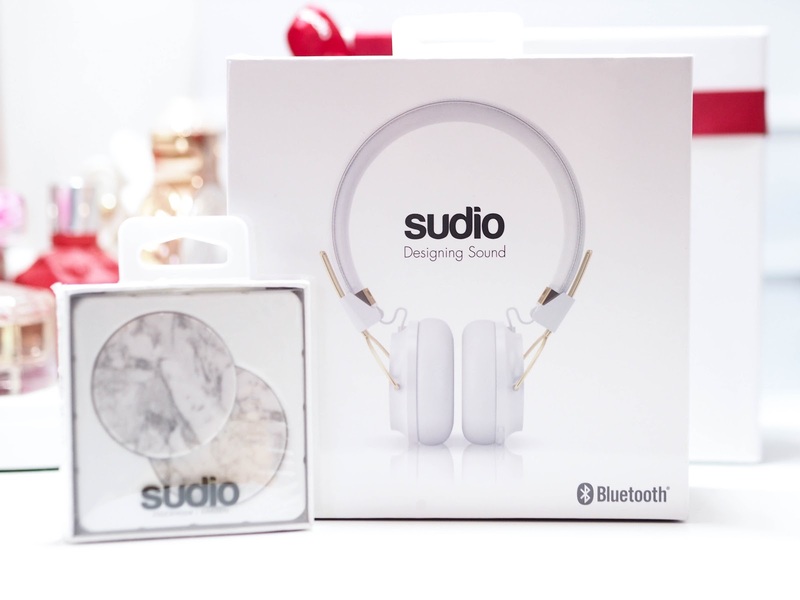 It's no secret around here that I love Sudio products. You may have seen me feature their white and rosegold ear buds on my Instagram earlier this year. 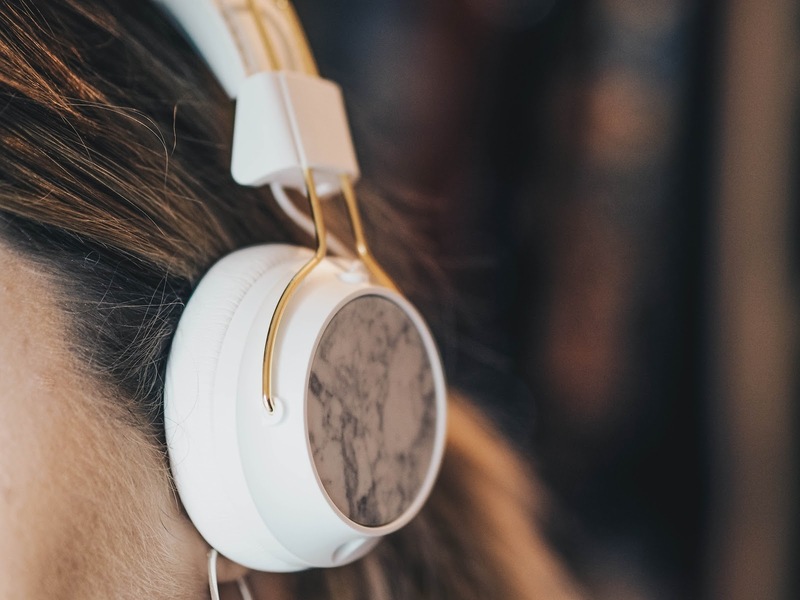 They are great for on the go, the gym and travelling but headphones seem to be a bit more of an appropriate choice whilst travelling around London. 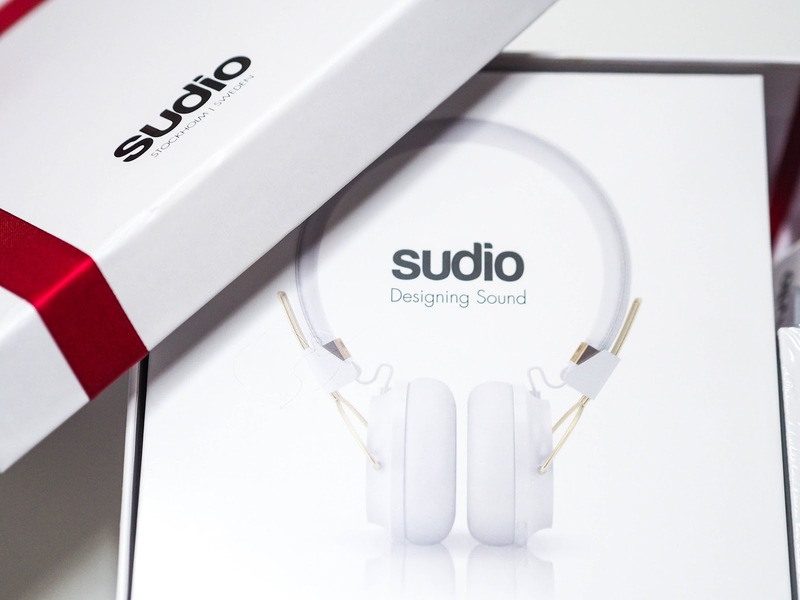 The Sudio Sweden Regent Headphones are truly incredible and I am so happy to finally have some headphones with background noise cancellation. 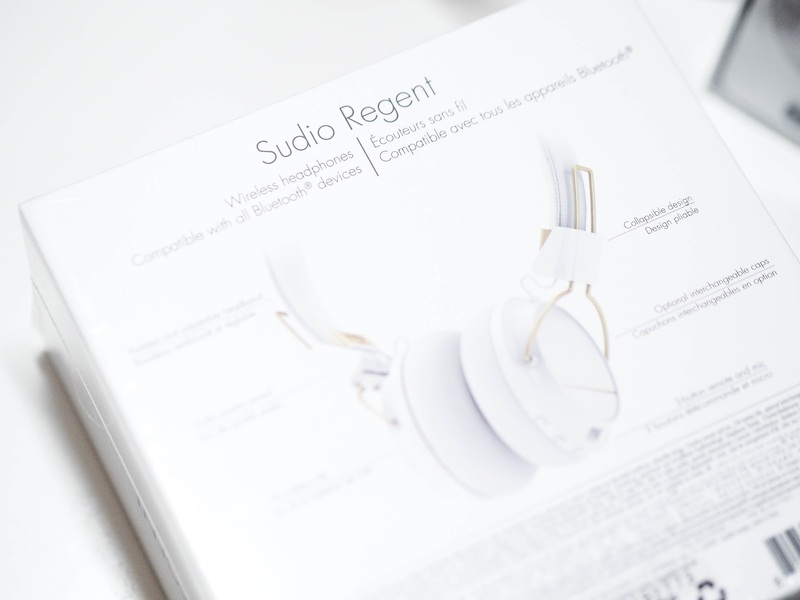 The Regent Headphones provide a high quality, world class sound for all music and podcast listeners everywhere and anywhere. Not only are they wireless and bluetooth activated, but they're also really pretty to the eye too. Retailing at a competitive £79, I chose the white ones but they are also available in black too. 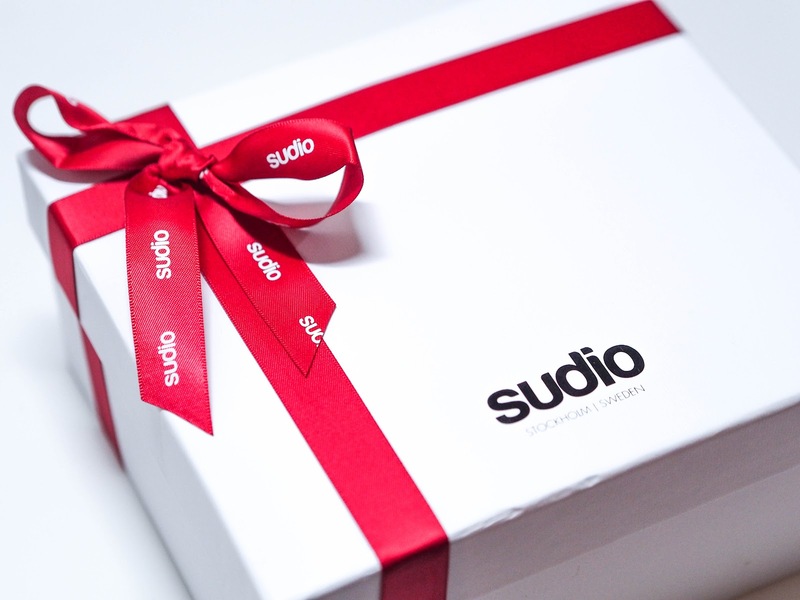 They come in a super adorable white gift box with a red bow to finish, so make a really festive and cute Christmas gift for someone this year. Could it get any better? Yep, it sure can. For an extra £14.99, you can get interchangeable caps if you fancy changing up the design on the side of the headphones. The original caps are plain white, but I got some marble caps and swapped these over. They clip on really easily and make the headphones look a lot more personalised! Available in white marble, black marble and a few other funky designs. They are the best ones I've tried in a while! These look great I could do with some background noise cancelling ones. I love the changeable caps idea especially the marble looking ones u went for. Yeah, the caps are an amazing idea and make them that little bit more personalised. I couldn't live without earphones during my commute! Those look really stylish. Unfortunately those of us with Tinnitus tend to give headphones a wide berth. Shame because I love my music too. Ah, that's such a shame. I love the white and gold finish on these and they’re much more reasonably priced than other leading headphones on the market. Oh this is a wonderful headphones! My husband will definitely love this. I have really small ears so finding a pair of headphones to work can be a nightmare, these look perfect and stylish. I've actually never heard of these headphones or brand. They look really great, I'll have to check 'em out for sure! !